Supervisory authorities have set particularly strict requirements on the production of RNA and viral vectors to be used during clinical studies involving humans. These requirements concern, for example, the purity, safety and tolerability of each individual ingredient. Procedures analogous to the EMEA Directive CHMP/BWP/2458/03 provide one possibility for so-called High Quality Grade plasmid DNA to meet these specifications during the manufacturing process. 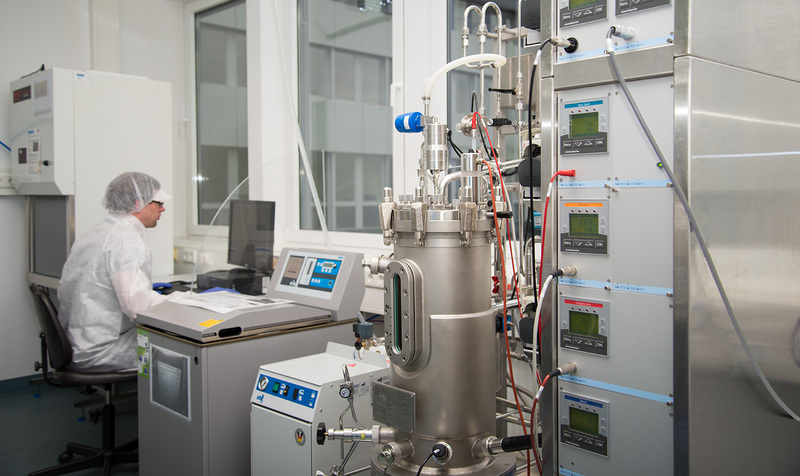 PlasmidFactory GmbH & Co. KG in Bielefeld has developed such a procedure. This procedure involves plasmid DNA that is entirely produced without the use of substances of animal origin due to product safety. During the production process of the product, impurities are removed as much as possible, e.g. by bacterial chromosomal DNA or damaged plasmid forms. At the beginning of 2011, PlasmidFactory put its own separate, dedicated production area into operation with new laboratories to produce ultrapure plasmid DNA. To avoid cross-contamination, only one plasmid is produced there. Parallel plasmid production does not occur on the same premises. “The High Quality Grade plasmid DNA is produced here using a cell bank (RCB) created by PlasmidFactory and particularly effective patented ccc Grade technology,” explains Martin Schleef, the Managing Director of PlasmidFactory. PlasmidFactory provides a variety of quality controls for the cell bank as well as for the plasmid DNA product, so that a product can finally be tailored to a specific use or to the relevant regulatory requirements. Research institutes and companies in Europe and the USA use the High Quality Grade plasmid DNA produced in Bielefeld as a raw material or adjuvant to produce RNA and viral vectors used in clinical studies. Since its inception in 2000, PlasmidFactory has provided industrial and academic research scientists with high quality plasmid and minicircle DNA (circular DNA structures without a bacterial backbone) for uses ranging from laboratory research to clinical applications. Clinigene, as a partner in the European Network of Excellence, combined valuable expertise from academic and industrial research for the clinical applications of plasmid DNA. In this way, for example, the immune-stimulating effects of genes inserted into cells by special microarrays were studied in collaboration with Fatima Bosch from the Universitat Autónoma de Barcelona. The effects of the so-called S/MAR elements on gene expression were studied together with Lausanne University and the Centre National de la Recherche Scientifique in Paris. In collaboration with the Technical University of Munich, experiments were conducted to develop a potential minicircle-based vaccine for fibrosarcomas in cats. The company Genosafe in Évry (France) determined the biodistribution of plasmid and minicircle DNA. “Sleeping Beauty Minicircles” were produced and tested in various applications in close cooperation with MDC Berlin. The company also conducts research and works closely with many other institutions, such as the German Cancer Research Center in Heidelberg, the Charité Berlin, the Pasteur Institute in Paris and Bielefeld University, to name only a few.